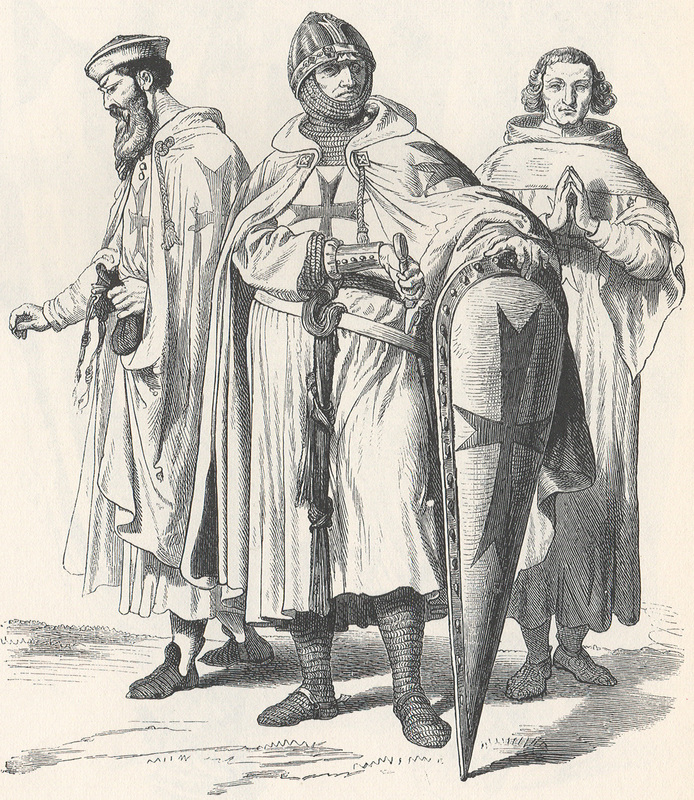 "The Poor Fellow-Soldiers of Christ and of the Temple of Solomon (Latin: Pauperes commilitones Christi Templique Salomonici), commonly known as the Knights Templar, the Order of Solomon's Temple (French: Ordre du Temple or Templiers) or simply as Templars, were among the most wealthy and powerful of the Western Christian military orders and were prominent actors in Christian finance. The organization existed for nearly two centuries during the Middle Ages. The Templars' existence was tied closely to the Crusades; when the Holy Land was lost, support for the Order faded. Rumours about the Templars' secret initiation ceremony created distrust, and King Philip IV of France, deeply in debt to the Order, took advantage of the situation. In 1307, many of the Order's members in France were arrested, tortured into giving false confessions, and then burned at the stake. Under pressure from King Philip, Pope Clement V disbanded the Order in 1312. The abrupt disappearance of a major part of the European infrastructure gave rise to speculation and legends, which have kept the "Templar" name alive into the modern day."